Our 2 oz travel size CLASSIC POMADE is America’s strongest holding water-based pomade. 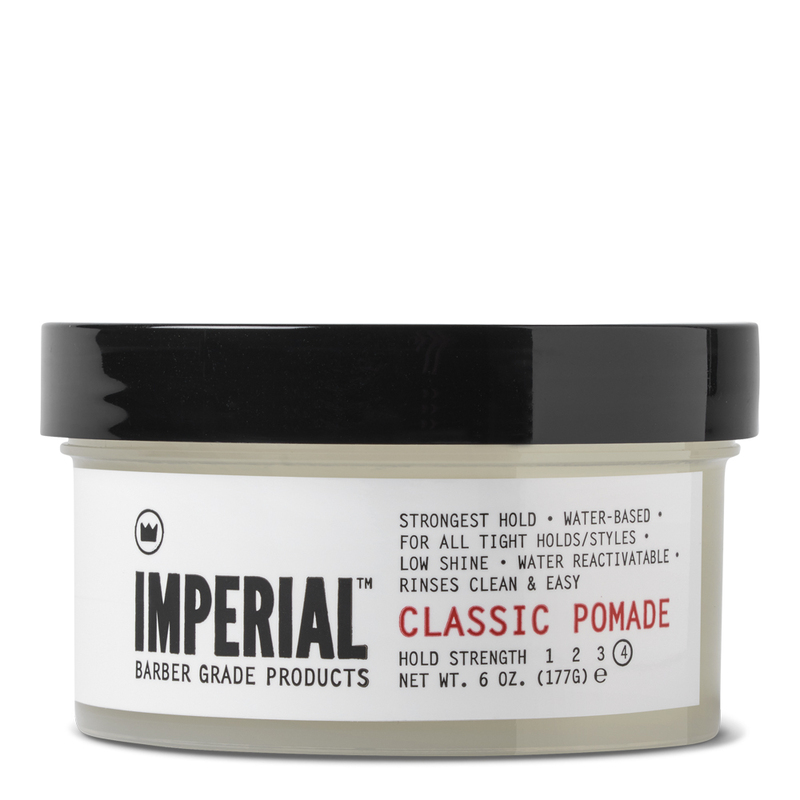 With an even and smooth application, the CLASSIC POMADE also allows you to adjust the hold strength depending on the amount of water in your hair. 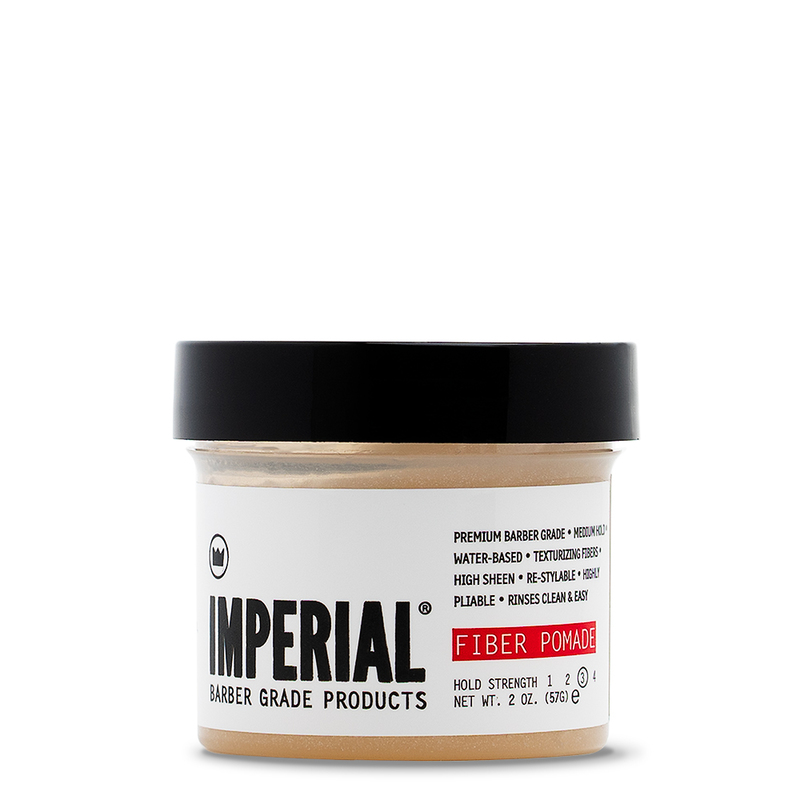 For a lighter hold, apply with water or on damp hair while the strongest hold can be achieved with a slightly heavier amount on dry hair. 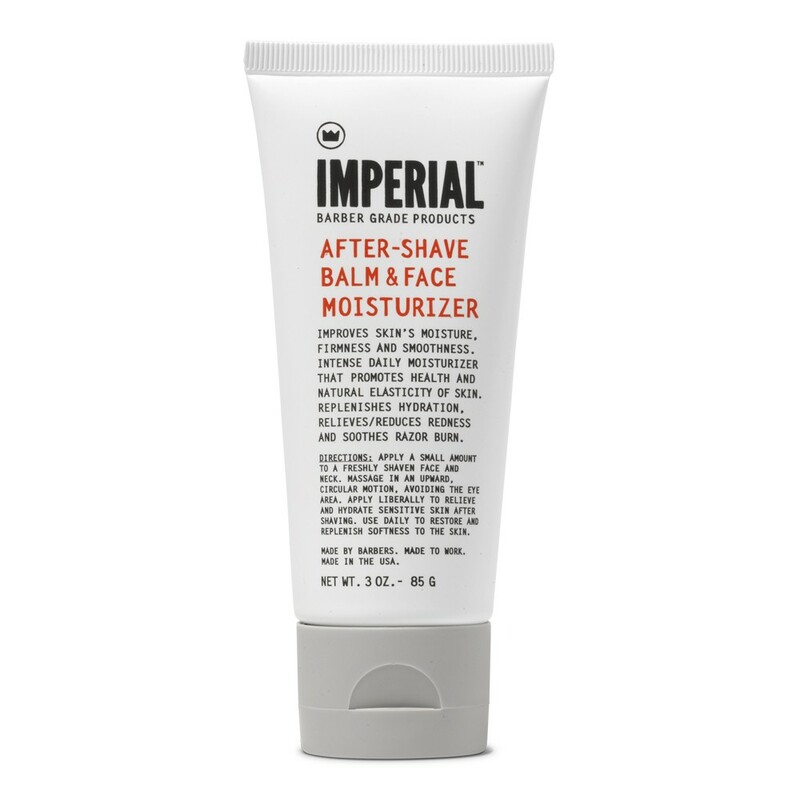 Our CLASSIC POMADE is also water reactivatable, which allows for easy re-styling with just a bit of water. And the best part? You get an amazing hold with the simple convenience of rinsing out the product clean and easy. Get that traditional American style with our CLASSIC POMADE, the best water-based pomade on the market. Looking for extra hold and volume? Try a GEL POMADE/CLASSIC POMADE cocktail. 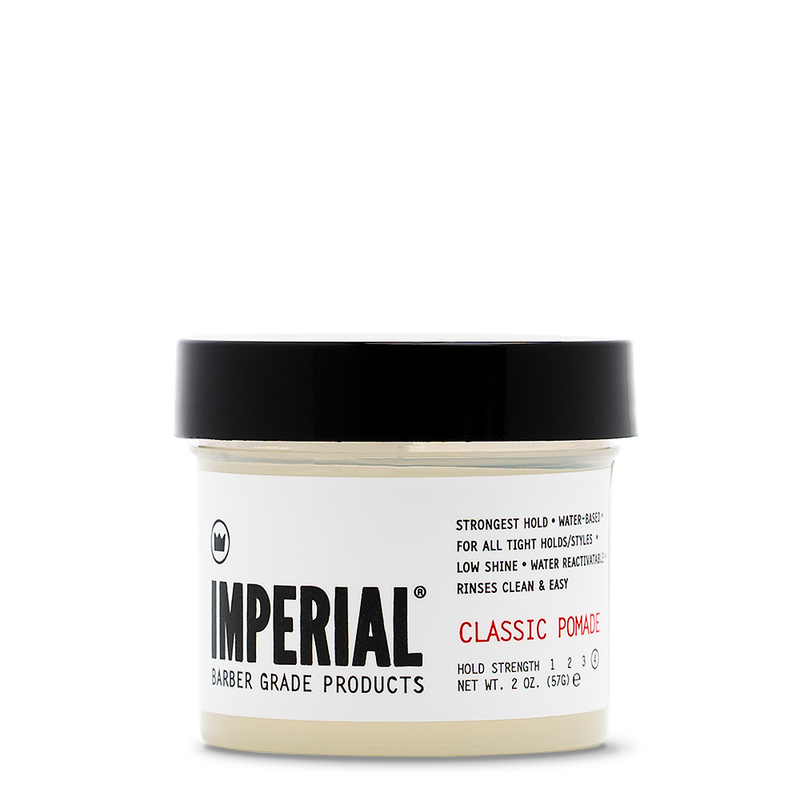 Use the GEL POMADE to style and add volume, blow dry, then apply CLASSIC POMADE for an all-day and all-night hold. 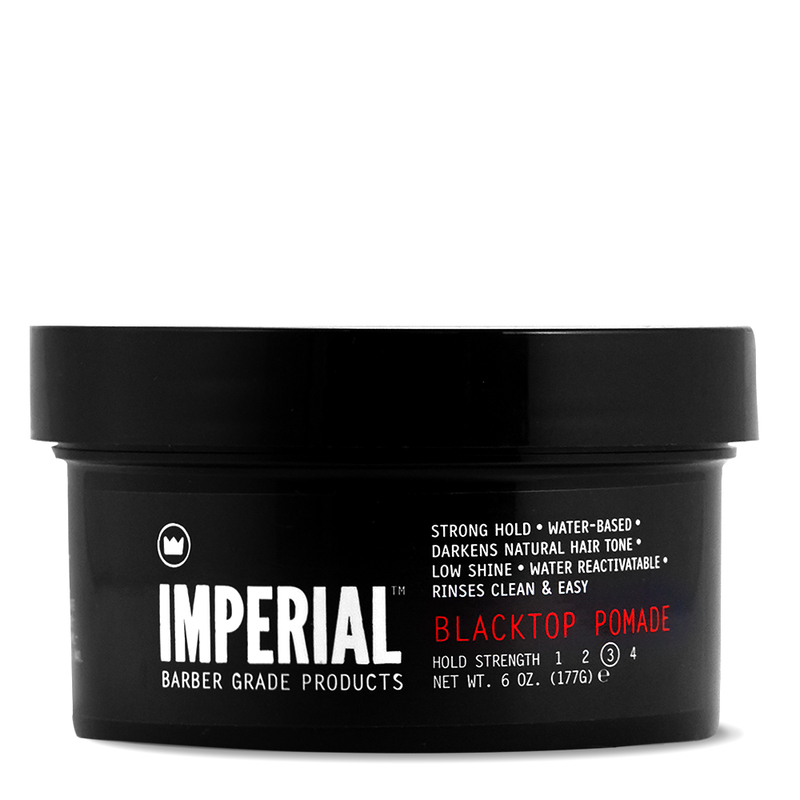 CLASSIC POMADE is also available in a standard 6 oz size and as part of our TRAVEL ASSORTMENT.